In this age, you cannot be ignorant about financial matters. In this age, you cannot be ignorant about financial matters. It is the need of the present times to have necessary financial education, regardless of whether or not you have to plan your own and your family's financial future. You need to have the required knowledge regarding how to plan an effective budget, about right investment strategies, to clear certain financial misconceptions, etc. However, every one of you might not be knowledgeable enough or it is not required to be finance major in order to be financially knowledgeable. All you need is to know is some basic things such as simple money-saving strategies, or investment strategies that benefit you with good return of investment. Here are 7 ways by which you can enhance your financial knowledge in order to improve your fiscal life. You can choose the options that suit you the best. Enroll in a distance course - One of the best ways to get to learn something is enrolling in a professional course. It is much easier to get to know a subject in details when you learn it. There are several fundamental courses in financial management strategies being offered by a number of universities. There are also some specialized courses which you can take up in order to clear your doubts or know in details. If you are thinking that why you will spend dollars in order to do it, then you should know that some of these courses are offered at low cost or free. Yes, it is true. Browse the internet to find such a course by pursuing which you can manage your financial aspects better. Visit library at your off-time - It goes without saying that usually a library has more or less all types of information you need and books on finance is not an exception. So, you can make trips to your local library in order to clear your doubts regarding your personal finance. Public libraries also organize personal finance workshops; so, you can attain such a workshop in order to enhance your financial knowledge and clear your doubts. So, next time you visit a library, remember to check this out. Attend finance seminars - Just like libraries, banks and credit unions also organize financial seminars from time to time. So, you can watch out for such a program at your bank, or you can express your desire at your bank and/or credit union so that they can inform you next time they organize such an event. If you get to know about the topic beforehand, then you can decide whether or not you want to acquire knowledge about it. Look for specific television shows - Who's there who doesn't watch television? It is very rare to find a person who doesn't watch television at least several times a week. 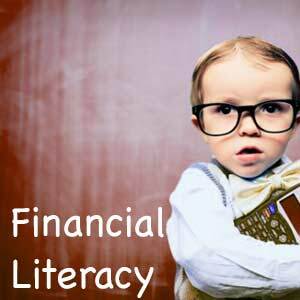 So, why not look for a financial literacy show while relaxing in front of your television after a long day? Doing so, you will also remain up-to-date regarding any financial reform, which can affect your financial health. However, while watching such a program, know the motive behind the presentation. It may be an advertisement of a certain organization in order to make profit. Therefore, always know the source of such information while watching it. Know your financial situation - Before you start looking for information to improve your financial knowledge, it is important that you know your own monetary situation. Though it is better to keep your mind open for any information you receive, yet at the same time, you should be able to distinguish what you should follow. For example, if your financial situation doesn't permit you to opt for risky investments, then do not follow it, even if it seems to be lucrative. Similarly, each and every debt relief strategy might not be suitable for you. So, choose the one that suits your financial situation in order to get benefited. Schedule an appointment with a financial adviser - Experts know better and he/she can educate you along with suggesting what's better for you. So, you can take references from your family members, friends or colleagues and schedule an appointment with a financial adviser. Make sure your read customer reviews before you schedule an appointment and also know his/her fees. It is better you prepare yourself before you visit an adviser; jot down your queries, carry necessary documents and prepare yourself in order to give out necessary information, so that the financial adviser can suggest you suitable ways to improve your financial situation along with solving your queries. Download apps in smartphones - There are also some apps available online which you can download in your smartphone. Certain apps let you plan your budget which you can review from time to time in order to check how far you've been successful. Some applications also educate you by comparing your budget-plan with that of a definite community, which helps you know where you are spending more. This, in turn, help you plan your budget effectively and reduce your expenses. However, before downloading such an application, check out whether or not it is free and if it's not free, then how much you need to pay monthly/annually. You should know that there are certain apps available free of cost. One of the best ways to increase your financial IQ is to browse online. You can get answers to almost everything when you browse with your query in the popular search engines. You can also check out the numerous blogs and finance websites available online, absolutely free of cost. While browsing, you can also come across some online forums, where you can post your question and get it answered by some financial experts. In these forums, people also share their own experiences, regarding how they have overcome certain financial problems, which you can read if you're facing the same. You can also make friends with your like-minded people and can help and motivate each other to improve their financial health. In short, it can be summarized by saying that all these strategies will help you increase your financial knowledge and in turn, will help lead a good financial life.